VMware made a decision to use Linux derived drivers to provide the widest variety of support for storage, network and other hardware devices for ESX. Since ESX and specifically the VMkernel is NOT Linux, to accomplish this we built a translation (shim) layer module called vmklinux which sits in between the VMkernel and drivers. 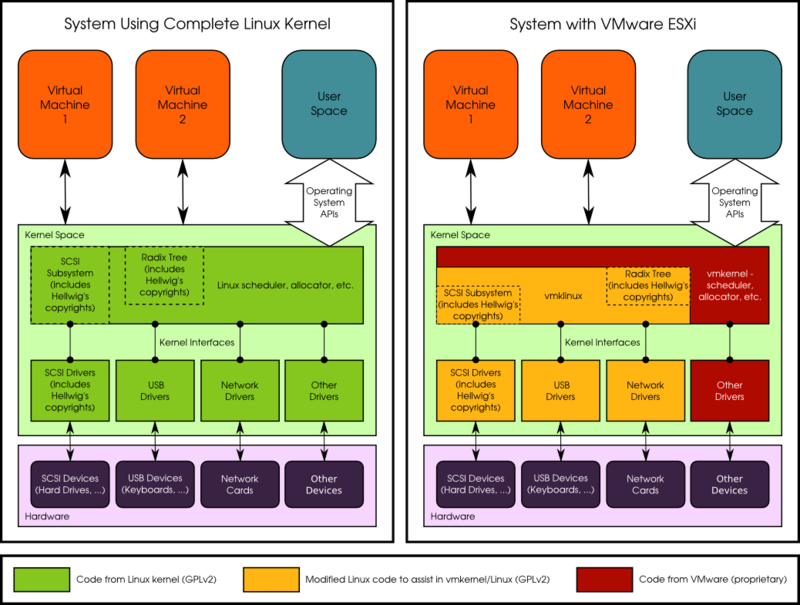 This vmklinux module is what enables ESX to function with the linux derived drivers and provides an API which can speak directly to the VMkernel.